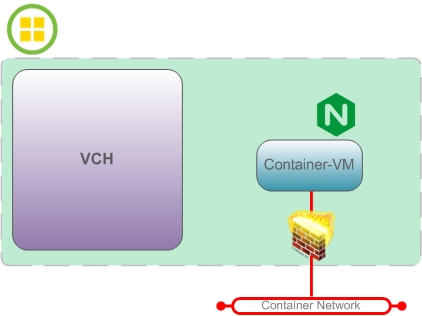 This is post two of protecting your Virtual Container Host (VCH), if you did not check post one, I really encourage you to check it out before proceeding. As promised, now I will show how we can secure our VCH leveraging two-way authentication with TLS certificates. 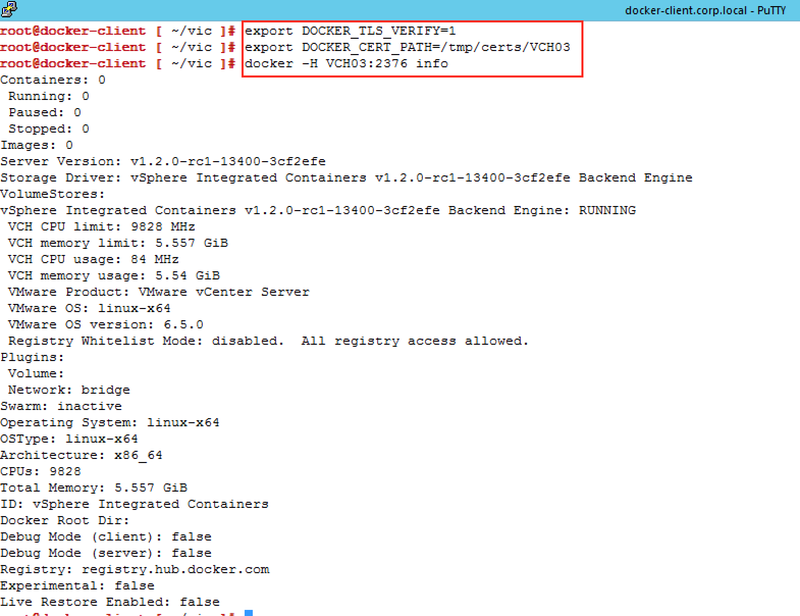 vSphere Integrated Containers (VIC), provides self-signed certificate capability, where, during VCH creation, it creates it's own CA in order to create and sign server and client certificates. Bear in mind that self-signed certificates provide all the security and encryption required, but they don’t provide aspects such expiration, intermediate certificate authorities and so on. 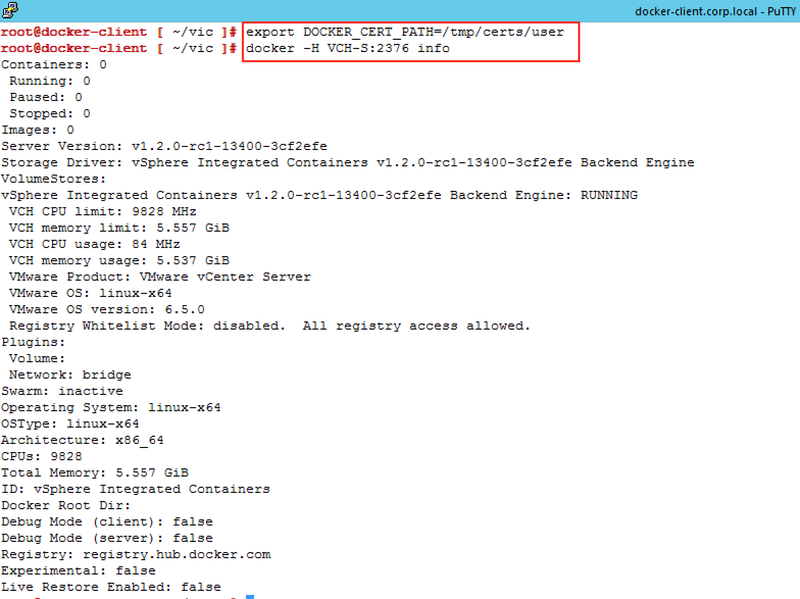 Unlike the previous methods, now the users MUST provide client certificate in order to authenticate to the VCH endpoint any time they want to issue Docker commands, if you are using a self-signed or untrusted certificate, you also need to provide the CA certificate which signed them. 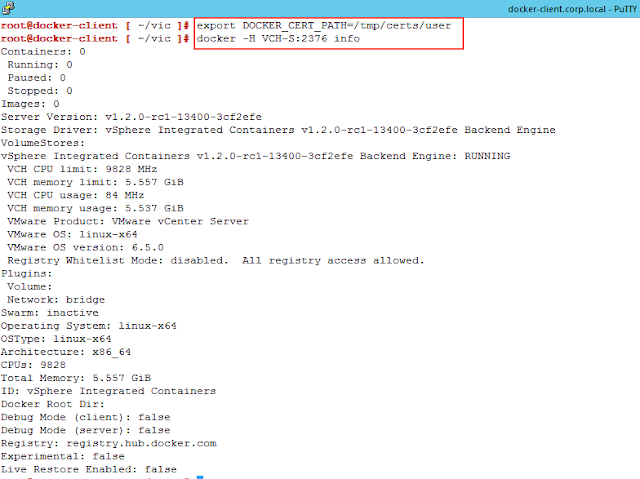 Besides authentication, the traffic between client station and VCH are encrypted as well (Docker API service is listening on port 2376). Being this method the one recommended for Production environments. You just need to provide --tls-cname “name” option during VCH creation. This name is the common name that will be added to the certificate and how your users will connect to the endpoint. VIC will create a folder with the VCH name in the current directory and all certificates will be stored within it. You, as a Cloud Admin, must deliver to the users who will connect to your endpoint the required certificates, cert.pem and key.pem, that were generated during VCH creation, remember to send the ca.pem as well (just in case it’s a self-signed certificate). 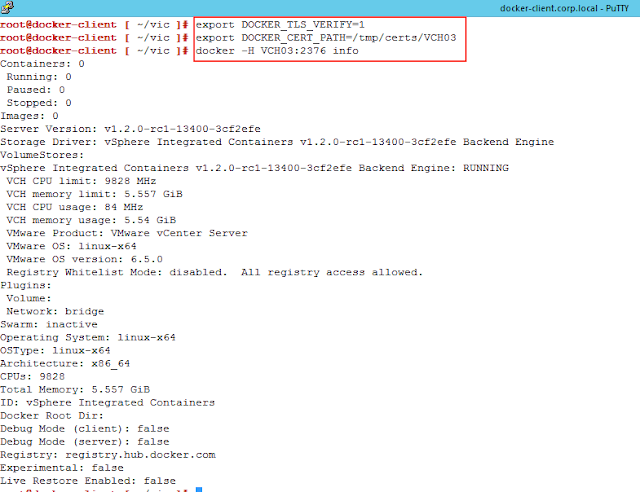 The users will then copy the certificates to the client station, personally, I like setting up some variables to tell Docker client that I need to enable TLS check and where my certificates could be found. As you can see now, I can securely connect to my VCH endpoint. You might be asking, OK, but what about the use of custom/trusted certificates ? YES !!! VIC allows the use of them as well. First, make sure you have your valid certificate signed by a trusted CA to a folder where you have access to. --tls-ca “file” the location for the CA certificate. --tls-server-cert “file” the location for the custom server certificate. --tls-server-key “file” the location for the private key which generated the server certificate. As we could see, VCH has loaded server certificate in order to generate the client certificate, which the users will be required to connect to it. Again, delivery the client certificates to your users and don’t forget to adjust the environment to point to the new certificates and you are ready to go. As a last tip, do not delete the folders and certificates of your VCH, it's might be useful if you need to redeploy a VCH, reusing the certificates means you dont need to send new certificates to your users. I hope by now you are empowered with all the knowledge to protect your environment.